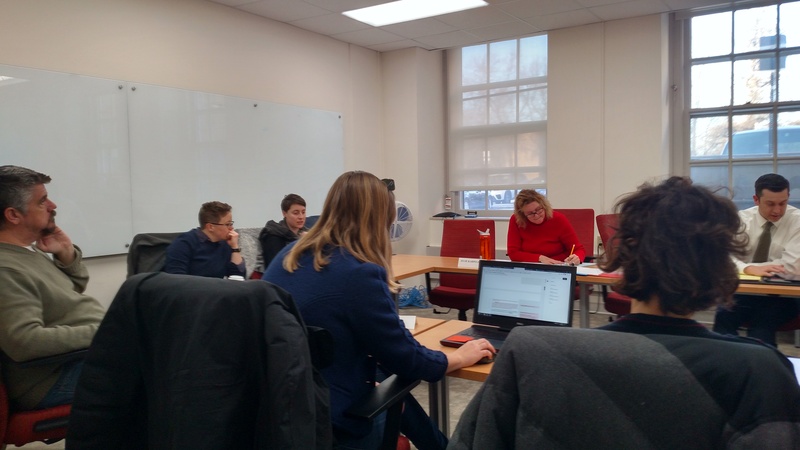 On January 16, 2019, the GAPP committee had our first meeting of the semester. During the meeting, Human Resources conveyed that they don’t receive graduate assistant (GA) grievances, and so believe that grievances are resolved. To the TAA, which often hears GA grievances, this is a sign of a broken grievance procedure. The TAA is continuing to work on solidifying and improving the University grievance procedure. This meeting was heated at times, but very productive. The biggest fight for TAA this semester will be over the extending the timeline for the initial filing of a grievance beyond 30 days. The administration is resistant to formalizing a policy allowing graduate workers more than 30 days to file–despite insisting that they would never turn away a grievant for lateness! The TAA knows there are reasons that a grievant may need to wait more than 30 days to file, including securing a new appointment before filing a grievance for a current appointment. The TAA did make significant progress on other fronts, however. We suggested that grievants should receive an outline of the process as part of the initial reply from the administration, to which the administrators in the room responded that they would prefer to send the entire grievance process documentation. Similarly, they suggested that the University would probably pay for the entire cost of Wisconsin Employment Relations Commission (WERC) mediation rather than asking a grievant to foot part of the bill. Both of these were unexpected victories for us, but welcome ones. Follow the latest GAPP updates here.